This entry was posted in Okategoriserade, Project Life and tagged clone wars solider, jig-saw puzzle, parents, playground, project life, spiderman, week 22. Bookmark the permalink. I so admire your determination to stay caught up with this. It’s not always easy. 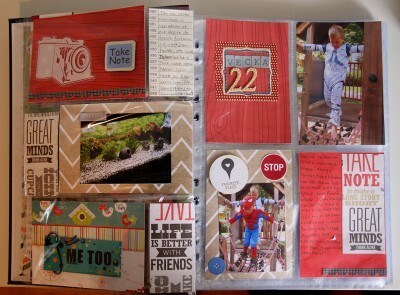 I looked at the previous PL posts too, and loved how you got some paint and stamps on the pages. 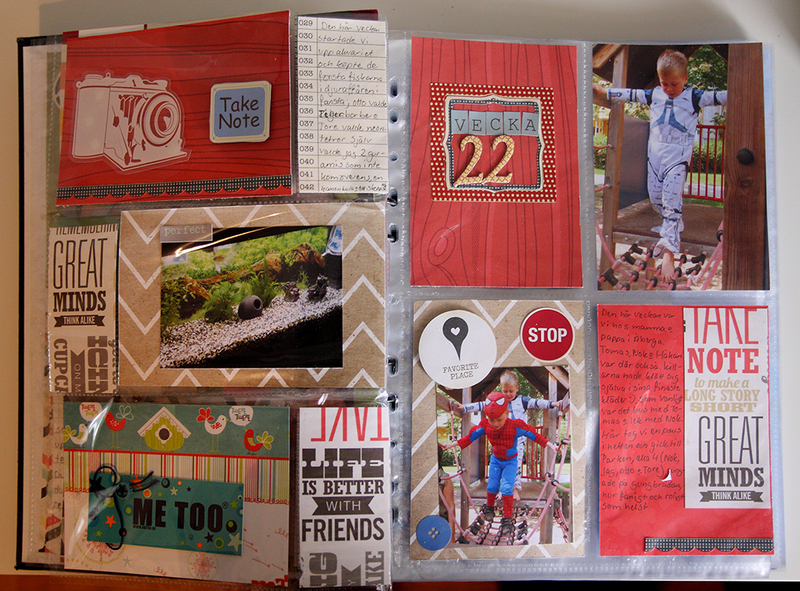 You sound like you are enjoying this modular approach to scrapbooking. Looks good!